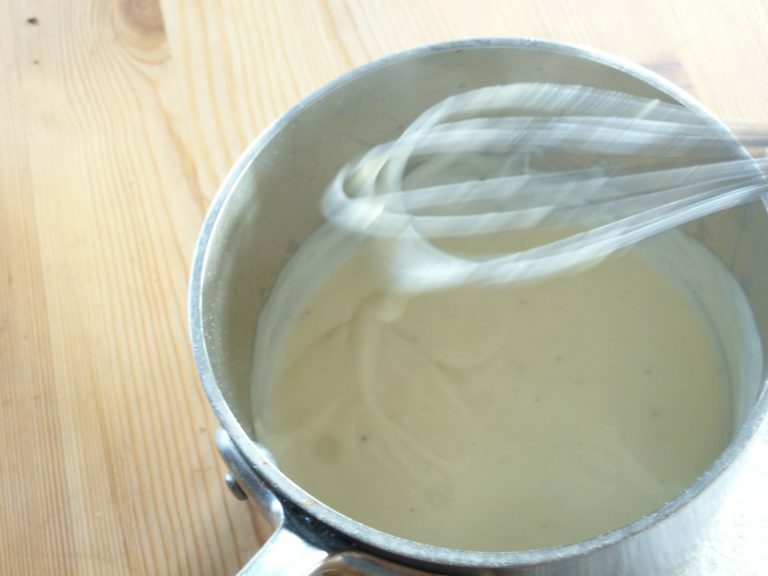 The Béchamel sauce is a french sauce consisting of 3 ingredients, milk, flour and butter. The interesting twist though, is that it did not originate in France, but rather in Tuscany, Italy. It was called ‘besciamella’ and had the short name of “coletta”. 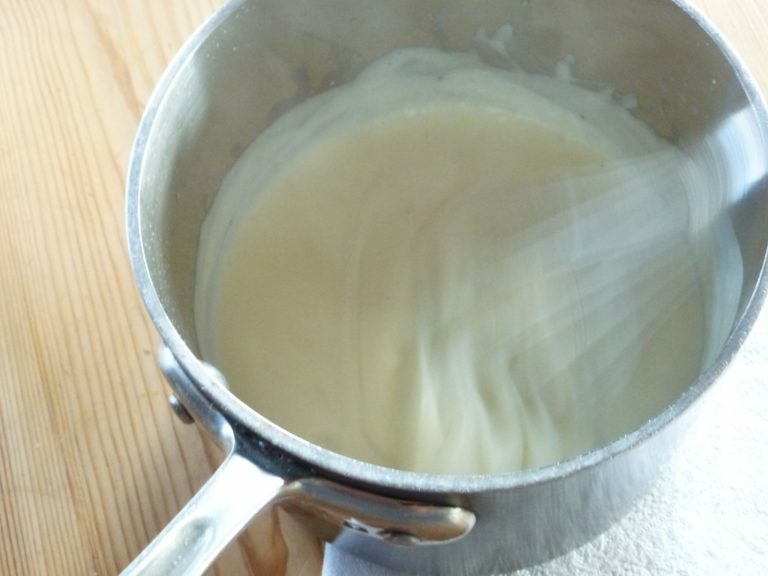 Which meant white glue-which is the spot-on vision for bechamel. Well, white glue never tasted so good! It wasn’t until the 16th century when French culinary got their hands on it. It seemed the French set their eyes on this sauce to accompany a very loved and cherished dish in France. The Veal Veloute, which in fact, demanded a heartier serving of cream in the sauce. You know the French more than likely made this sauce if anything, more elegant and more off-putting to the culinary audience. Bechamel is not to be feared, however. It’s a very easy recipe to make, and at its best, requires good whisking skills. But, if you have butter, milk and flour on hand, get busy, and make your delicious and memorable batch of bechamel. Use it in your lasagna dish, or as your Alfredo sauce. You will not only surprise yourself, but I’m pressed to believe you’ll impress those who you are cooking for as well. 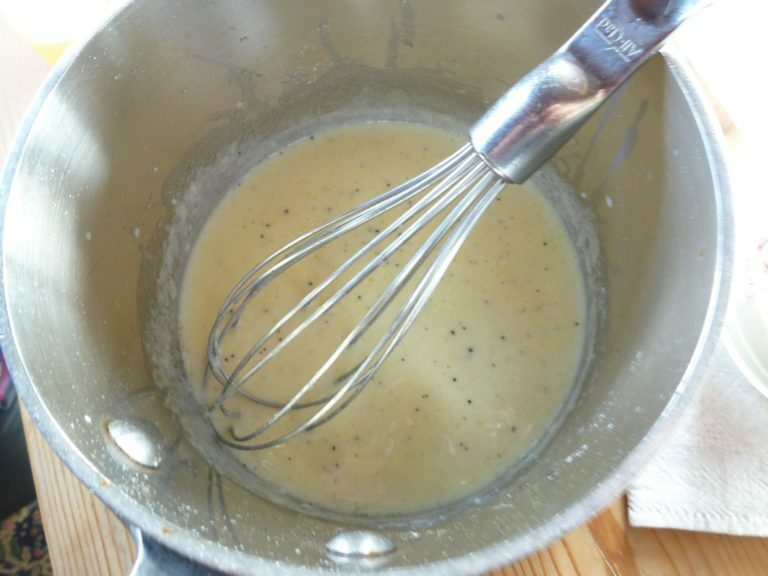 To make your roux, gather your two ingredients…your butter and flour. 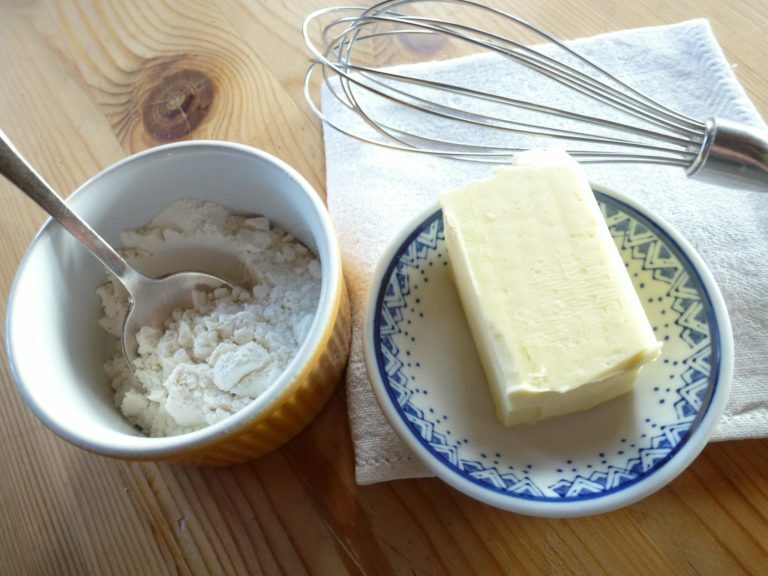 Don’t forget to get your whisk as well, because you’ll need it as soon as the butter melts. 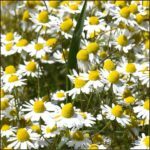 Melt the butter, then whisk in your flower, slowly. Keeping the heat to medium, continue to whisk until mixture thickens and be sure the color of this sauce remains white. Take off heat. This is your completed roux. 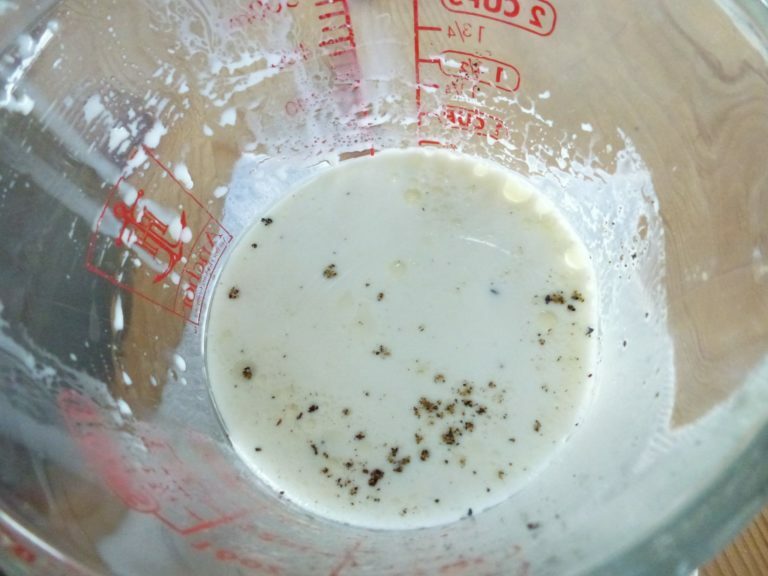 Return roux mixture to medium/high heat and whisk in your milk mixture. cook for about 10 minutes on medium heat, continually whisking until sauce thickens up. Take off heat. add your cheese. 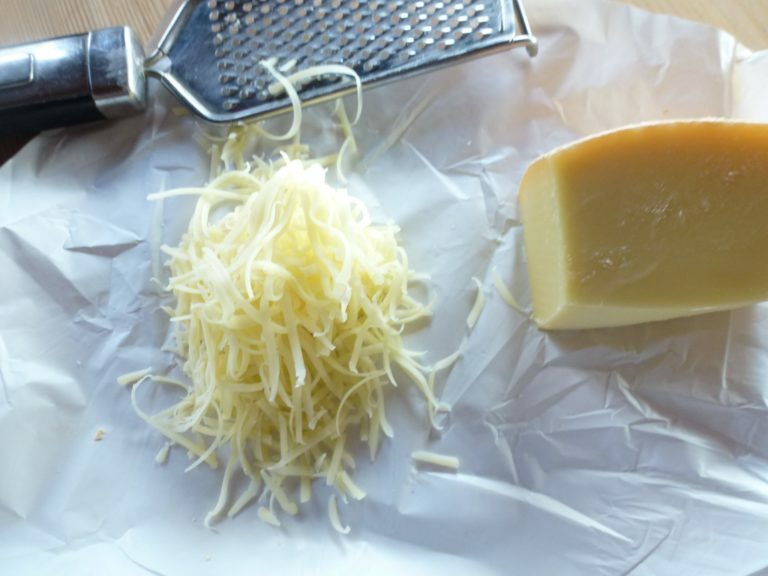 I recommend 50 grams of a softer mild cheese, I used Tilsiter. 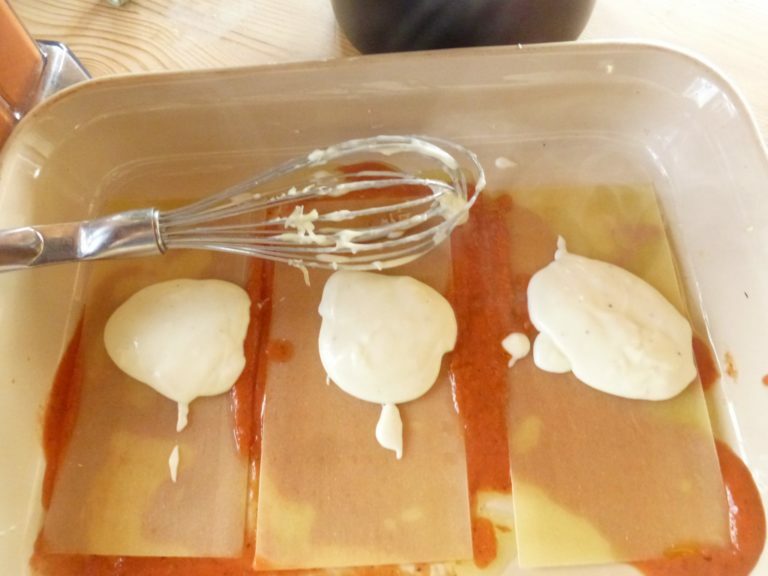 Use your sauce in lasagna, the perfect compliment!